COULD YOUR CHARITY PUT GOOD FOOD TO GOOD USE? We redistribute good food that would otherwise go to waste to UK charities and community groups. Join them. At FareShare we save good food from going to waste. Fresh, tasty and in-date food from some of the UK’s top food companies. 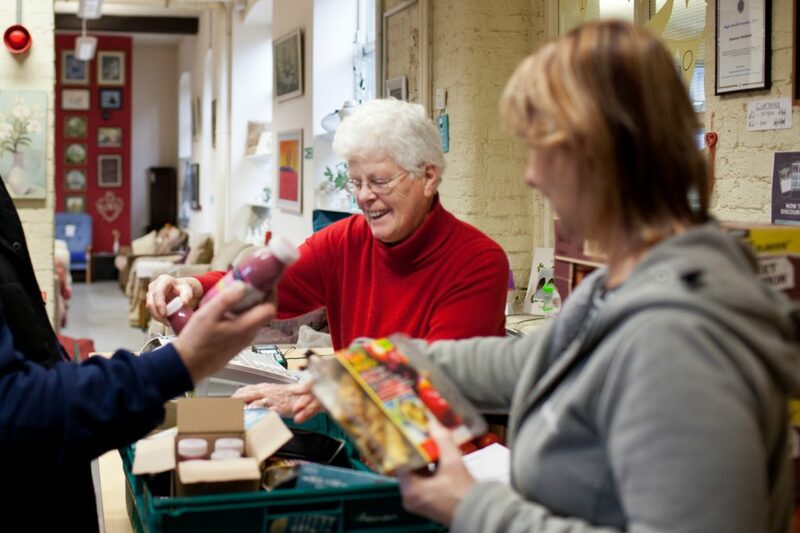 We redistribute this surplus food to over 9,653 charities and community groups. If your organisation uses food to support people then you can sign up to receive food too. You might be a homeless hostel, a community centre, a children’s breakfast club or an older people’s lunch club. Whatever the focus of your service, as long as you use food to make a difference in your community you can sign up. The food we redistribute is varied and mostly nutritious too. It could be marvellous meat, dairy and fish, flavoursome fruit and veg or store cupboard staples. What’s more, it can save you money. FareShare food is worth on average £7,900 to each of our charity members*, leaving you with more to put back into your life-changing services. Receive regular orders of fresh and long-life food from a FareShare Regional Centre. Find out more and register your interest. Collect free food from your local supermarket as and when it becomes available. Find out more and register your interest. What is surplus food and where does it come from? The food we provide to charities is surplus from the food industry. Food can become surplus – which means that it is not going to be sold – for simple reasons such as over-production, labelling errors or short shelf life. It is good quality, in date and, if you ask us, pretty tasty. It could be from a grower, a manufacturer or a retailer. You can find information on the food companies we work with on our partners case studies page. Are you an individual in need of food? We do not give food directly to individuals. If you are in need of emergency food, contact your nearest Trussell Trust food bank.